1:30 p.m. Poster Session - To view abstracts, click here. Bio: Hao Yan studied chemistry and earned his Bachelor’s degree at Shandong University, China. He obtained his PhD in Chemistry under Professor N. C. Seeman, New York University in 2001, working on design and construction of sequence dependent DNA nanomechanical devices. He then moved to the Computer Science Department at Duke Univeristy, where he continued to explore his interests in DNA based molecular computing and programming. Following a 3 year period as an Assistant Research Professor at Duke University, he joined Arizona State University as Assistant Professor in Department of Chemistry and Biochemistry in 2004. In 2008, he was promoted with early tenure directly to Full Professor and he is currently the Milton D. Glick Distinguished Professor in Chemistry and Biochemistry and Director of the Center for Molecular Design and Biomimicry in the Biodesign Institute at Arizona State University. The theme of his research is to use nature’s design rules as inspiration to advance biomedical, energy-related, and other technological innovations through the use of self-assembling molecules and materials. 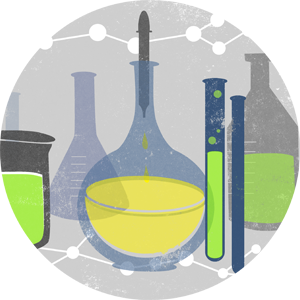 He aims to create intelligent materials with better component controls at the molecular level. 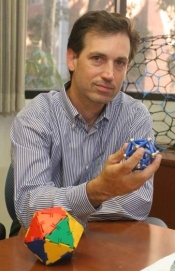 He is leading an interdisciplinary team to design bio-inspired molecular building blocks and program their higher order assembly into systems that will perform complex functions. His current research focus on structural DNA nanotechnology and DNA directed self-assembly. 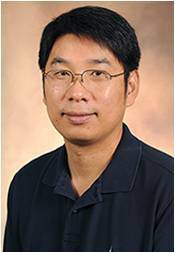 Dr. Yan has published more than 130 papers and has received honors including the Rozenberg Tulip Award in DNA Computing, Alfred P. Sloan Research Fellowship, NSF Career Award, AFOSR Young Investigator Award. He is currently elected president of the International Society for Nanoscale Science, Computation and Engineering. Bio: Donald E. Ingber, MD, PhD is the Founding Director of the Wyss Institute for Biologically Inspired Engineering at Harvard University, the Judah Folkman Professor of Vascular Biology at Harvard Medical School and Boston Children's Hospital, and Professor of Bioengineering at the Harvard Sch ool of Engineering and Applied Sciences. He received his B.A., M.A., M.Phil., M.D. and Ph.D. from Yale University. Dr. Ingber is a founder of the emerging field of biologically inspired engineering, and at the Wyss Institute, he oversees a multifaceted effort to identify the mechanisms that living organisms use to self-assemble from molecules and cells, and to apply these design principles to develop advanced materials and devices for healthcare and to improve sustainability. He also leads the Biomimetic Microsystems platform in which microfabrication techniques from the computer industry are used to build functional circuits with living cells as components. His most recent innovation is a technology for building tiny, complex, three-dimensional models of living human organs, or "Organs on Chips", that mimic complicated human functions as a way to replace traditional animal-based methods for testing of drugs and establishment of human disease models. In addition, Dr. Ingber has made major contributions to mechanobiology, tissue engineering, tumor angiogenesis, systems biology, and nanobiotechnology. He was the first to recognize that tensegrity architecture is a fundamental principle that governs how living cells self-organize themselves to respond biochemically to mechanical forces, and to demonstrate that integrin receptors mediate cellular mechanotransduction. 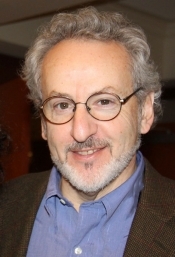 Dr. Ingber has authored more than 375 publications and 85 patents, and has received numerous honors including the Holst Medal, Pritzker Award from the Biomedical Engineering Society, Rous-Whipple Award from the American Society for Investigative Pathology, Lifetime Achievement Award from the Society of In Vitro Biology, and the Department of Defense Breast Cancer Innovator Award. He also serves on the Board of Directors of the National Space Biomedical Research Institute, and is a member of both the American Institute for Medical and Biological Engineering, and the Institute of Medicine of the National Academies. Bio: Todd Yeates earned his Bachelor's degree at UCLA in 1983. He stayed on at UCLA and earned his PhD in 1988 while doing research under the direction of Prof. Douglas Rees. There he helped determine the crystal structure of the bacterial photosynthetic reaction center as part of a team racing to determine the first crystal structures of membrane proteins. He then moved to The Scripps Research Institute to do his postdoctoral research on the structure of poliovirus with Prof. James Hogle. Yeates returned to UCLA in 1990 to join the Faculty in the Department of Chemistry and Biochemistry. His interdisciplinary research, combining molecular biology with computing and mathematics, has focused on macromolecular structure and computational genomics. His varied research findings include: an explanation for why proteins crystallize in certain favored arrangements; the development of new equations for detecting disorder in x-ray diffraction data from protein crystals; the discovery of thermophilic microbes rich in intracellular disulfide bonds; development of comparative genomics methods; development of designed protein cages or 'nanohedra'; the discovery of novel topological features such as links and slipknots that stabilize thermostable proteins; and elucidation of the structure of the carboxysome shell and the shells of other bacterial microcompartments, which serves as primitive metabolic organelles inside many bacterial cells. Yeates is a member of the Molecular Biology Institute, the California Nanosystems Institute, the UCLA-DOE Institute of Genomics and Proteomics, and a Fellow of the American Association for the Advancement of Science. He has published approximately 150 research papers. For more information, contact Dr. Jason DeRouchey.